30 years have passed and people are still dancing the night away with ‘Dirty Dancing‘. Since 1987, ‘Dirty Dancing‘, which was made on a $6 million budget, has grossed over $214 million and has spawned numerous spin offs, sequels, and even a stager version of the film. Not only that, it made Patrick Swayze and Jennifer Grey Hollywood icons for years to come. 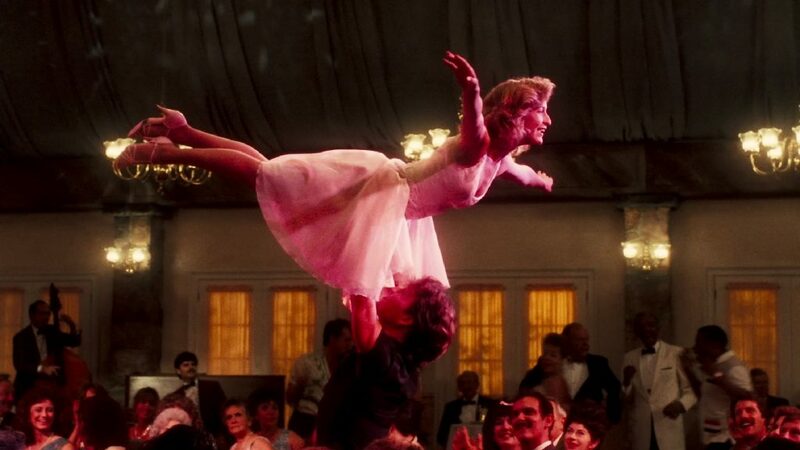 ‘Dirty Dancing‘ won numerous awards, including an Oscar, Golden Globe, and a Grammy for it’s soundtrack, and is still considered a favorite amongst many people and critics alike. Growing up with ‘Dirty Dancing’, there are some sticky situations at hand here, particularly the abortion scene. When I was younger, I had no idea what the hell was going on, but as I got older, I understood how ahead of the game this film was in depicting such a taboo subject. They handled it very well. That’s not the core story though. ‘Dirty Dancing‘ is a story about loyalty, friendship, that is a depicted in a very strange, yet somewhat realistic way. The follows Frances “Baby” Houseman (Jennifer Grey) as she vacations to a resort with her super wealthy family in the Catskills. She is only 17 years old and is wanting to attend University and join the Peace Corps. She meets one of the entertainers of the resort at an after hours party for the staff by the name of Johnny Castle (Patrick Swayze), who is much older than her, as she sees the staff engaging in “dirty dancing”. Some unfortunate events happen that would cause Johnny to lose out on getting paid for the season unless he trains Baby how to dance for the upcoming shows at the resort, even though Baby has no dance experience. They fall in love and sparks fly, but Johnny being “the help” and coming from a poor background in relation to Baby’s rich upbringing, causes conflict with her family in that she doesn’t stick up for herself or Johnny. 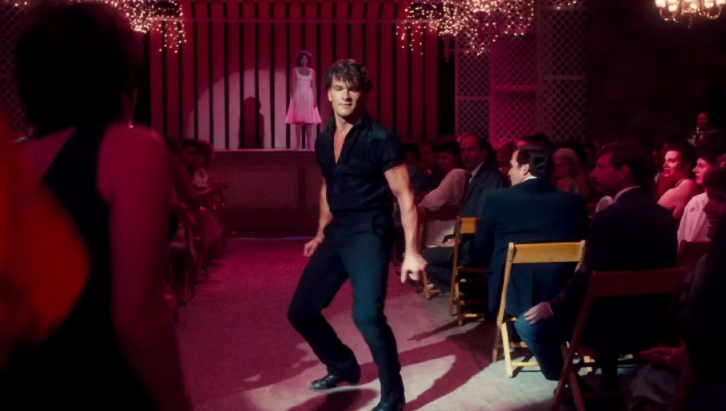 Of course there is a big dance number at the end with everyone joining in, which sounds terribly cheesy, but it comes across as fantastic and amazing, and is one of the better scenes in cinema history with Swayze flinging the doors open and dancing to ‘I’ve Had the Time of My Life’. Surprisingly, the film completely holds up 30 years later with excellent performances by everyone involved and still has a great script. The music itself is magnificent on all levels and brings you back to the time of the 1960’s, which is when the events of the film take place. It’s easy to see why Swayze shot to international stardom here. He’s just so damn good in this role, that you begin to believe he is the character Johnny Castle. Even after 30 years, ‘Dirty Dancing‘ is still having the time of its life. The Video: This 30th Anniversary of ‘Dirty Dancing‘ is the same transfer as the Keepsake edition from 2010 and the re-release in 2012, which is unfortunate, because it wasn’t that good. Then again, the original source wasn’t that great either. Still, for a big anniversary like this, we should have received a new, better looking transfer, which is in 1080p HD and comes with a 1.78:1 aspect ratio. The image is rather flat and vague most of the time. This new or shall I say seven year old transfer does have some sharp and vivid detail, mostly seen in well lit closeups with individual hairs and stitching in the clothing, but everything else is rather flat. Nothing really pops here like it should, but then again, this was a low budget film in the 1980s. There are some heavy moments of grain throughout, but I’d say it adds to the nostalgic flare of everything. I just wish it was a little more consistent. Black levels are mostly deep and inky and the flesh tones are rather natural most of the time. Universal did clean up most of the debris, scratches, dust, and warps, which is nice, but this is not the video presentation we were hoping for. The Audio: Again, with this 30th Anniversary Edition, the lossless DTS-HD 7.1 mix is imported here, but still sounds rather lackluster, considering this audio track should be booming on all fronts. It’s not by any means. Instead, we have a very front heavy track with most of the sound coming through the front speakers with very little low end that brings the bass during the big music and dance numbers. It’s a bummer, because this could have been fantastic. Dialogue is clear and easy to follow, but lacks the heft as do the sound effects and ambient noises from the rear speakers. The big music numbers are also shallow and don’t pack a punch like they should. This all being said, the mix is fine, but that’s it, and for a movie like ‘Dirty Dancing‘, the audio needs to be top notch, which it isn’t. Again, there were two previous releases before this 30th Anniversary Edition, all of which had some excellent bonus material. This 30th Anniversary release adds a few new extras and imports some of the other extras from the previous releases. That being said, there are a ton of very cool releases that have been left out here, making you keep your previous versions, which is unfortunate. If they were ever to release a big edition with everything on it, this should’ve been it. ‘Happy Birthday, ‘Dirty Dancing’ (HD, 30 Mins.) – This is new extra that features new interviews from the cast and crew, vintage interviews from the cast, as well as some on set footage and discussions on what dirty dancing really is. Patrick Swayze In His Own Words (HD, 13 Mins.) – This is also a new extra that has some never before seen footage of a 2006 interview with Swayze as he talks about the film, his role, and his performance. Eleanor Bergstein: Thoughts on a Lifetime of ‘Dirty Dancing’ (HD, 7 Mins.) – Another new extra in which the writer of the film talks about how she came up with the story, how it evolved into what we see, Bruce Springsteen’s influence, and more. Patrick Swayze Uncut (HD, 14 Mins.) – Another new extra in which we see Swayze’s final interview for the film on his life, career and work on the movie. Audio Commentary #1 – Choreographer Kenny Ortega, actress Miranda Garrison, director of photography Jeff Jur, costume designer Hilary Rosenfeld, and production designer David Chapman all deliver a commentary on the film. Most of these people were recorded separately and then edited together. Surprisingly enough, this is a rather bland and uninformative commentary track. Very bland. Audio Commentary #2 – Writer Eleanor Bergstein delivers a fantastic and energetic commentary track as she gives out useful information on the production, story, and characters, while also mentioning some fun anecdotes from the set. Definitely worth listening to. ‘Dirty Dancing’: The Phenomenon (SD, 14 Mins.) – This extra talks about the rise and fall of the production company behind the film as well as the impact the trailer made on the audience and how the film has become so iconic. Patrick Swayze: The Rhythm of the Dancing (SD, 4 Mins.) – Swayze talks about a song from the film and what his wife and ‘Dirty Dancing’ mean to him. Music Videos (SD, 12 Mins.) – Music videos for ‘She’s Like The Wind’, ‘Hungry Eyes’, and (I’ve Had) the Time of My Life’. Cast and crew Interviews (SD, 58 Mins.) – Long interviews with actress Jennifer Grey, writer Eleanor Bergstein, an choreographers Kenny Ortega and Miranda Garrison. Deletes Scenes (SD, 23 Mins.) – There are 11 deleted, alternate, and extended scenes here, some of which feature different actors. Screen Tests and Outtakes (SD 5 Mins.) – Montage of Swayze and Grey dancing as well as mistakes in the film. ‘Dirty Dancing‘ is a still one hell of a film and was far ahead of its time in tackling certain subjects. The performances by everyone are incredible and the soundtrack is one of the best ever. The film itself is just highly re-watchable and a ton of fun. Swayze is God. This 30th Anniversary edition doesn’t bring any new video or audio transfers, which would have been nice, but it does deliver four new extras, plus some of the previous bonus features from the other releases, but not all. If you haven’t owned the previous releases, then by all means, take advantage here. If you already do own this, there’s no need to double dip here, unless you are the world’s biggest fan. This entry was posted on Tuesday, February 14th, 2017 at 4:58 pm	and is filed under Film, News. You can follow any responses to this entry through the RSS 2.0 feed. You can skip to the end and leave a response. Pinging is currently not allowed. « Blu-ray Announcement and Pre-Order: ‘The Marine 5: Battleground’!